Yavin 4 is one of three moons in the system capable of sustaining life, Yavin 4 has a long and strife-torn history interwoven into its tapestry of lush jungle life. On at least two occasions over thousands of years, Yavin 4 became the site of crucial galactic showdowns. Yavin 4 is a young world with plenty of geothermal activity. Sixty-nine percent of its surface is landmass, divided into four continents. Six interconnected oceans cover the rest of the moon, along with one landlocked body large enough to be called a sea. Decades ago, the continents were given the temporary names of Starloft, Swivven, Koos and Wetyin by scouts from Wetyin's Colony. Because Yavin 4 orbits a gas giant, it has two different types of nightfall. When the moon faces away from the sun, but still faces the gas giant, Yavin 4 experiences twilight night, as the jungle is flooded in a pastel glow. When Yavin 4 faces away from both the sun and the planet, or when the gas-giant eclipses the sun, the moon experiences dark night. Yavin 4's rotation is such that once every several months, it experiences excessively long dark nights. When this occurs, temperatures drop to generate severe storms. The so-called "rainbow storms" are another beautiful phenomenon of Yavin 4. They occur when the sun pokes around the limb of the great gas giant, casting its beams through the giant's hazy upper atmosphere. This causes the sunlight to become polarized, and when it then strikes ice crystals in Yavin 4's upper atmosphere, great scintillating showers of rainbows appear. The jungles of Yavin 4 are never quiet, as the night brings about the howls of the woolamanders high in their trees, or the snuffling foraging of a Yavinian runyip or stintaril. Other life-forms include the angler, the armored eel, the crawlfish, mucous salamanders, firebees, piranha-beetles, and crystal snakes. Thousands of years ago, the Sith Lord exile Naga Sadow fled to Yavin 4, escaping enemy forces from the Great Hyperspace War. Sadow commanded his crew to erect massive temples to serve as focal points for his Sith magic. Sadow, a skilled alchemist, hid his vessel deep underneath the newly built Sith Temple of Fire. Using his Sith magic and alchemy, Sadow created the mutated Massassi warriors from descendents of his Sith crew. These Massassi guarded the new Sith temples they erected. As Sadow passed on, the Massassi continued, developing into a proud tribal culture that used the dark side of the Force to augment their archaic weapons. Centuries later, a young Jedi named Exar Kun, who was experimenting with the dark side of the Force, followed ancient Sith scripture and came to Yavin 4. He enslaved the Massassi, and forced them to construct new temples as focal points of Sith power. During the height of the Sith War, Exar Kun brought 20 Jedi initiates with him to Yavin 4, and infected them with the vile spirits of the ancient Sith. With the Jedi under control, Kun brought about a terrible Jedi holocaust. In retaliation, thousands of Jedi descended upon the jungle moon, led by Ulic Qel-Droma. Knowing he would be defeated, Kun tapped the life forces of all the Massassi to seal and preserve his consciousness within his temple. As a last measure, Kun left behind the night beast, an alchemical creation, to guard his legacy. The Jedi task force succeeded in killing Kun's body, but the assault also laid waste to many of Yavin 4's jungles and killed what few Massassi were left. All that remained of the species were their massive monuments. For millennia, Yavin 4 was largely ignored. During the Clone Wars, it existed on few charts, and only those with arcane knowledge of the Jedi or Sith knew of it. Asajj Ventress lured Anakin Skywalker to the decrepit Sith temples of Yavin 4, and engaged him in a blazing lightsaber duel. The moon came into prominence once again when it became a staging ground for the Alliance's new Rebel base. Its steamy jungle canopy and abandoned native temples formed the perfect hiding place for an early Alliance base. The native Massassi had long been extinct by the time General Dodonna's Rebel forces erected a hidden fortress on the moon. After abandoning their Dantooine base, Alliance High Command set up in the temples. The rain forests provided the Alliance cover, and the moon's out-of-way location along the Gordian Reach limited nearby traffic. Alliance naturalist Dr'uun Unnh had a brief few weeks to catalog the life-forms of Yavin 4. It was he who named many of the temples in the so-called Massassi site. These included the Temple of the Blueleaf Cluster, the Palace of the Woolamander, and the Great Temple that housed the Rebel base. When the Empire discovered the location of the Rebels by following a homing beacon secreted aboard the Millennium Falcon, the Death Star soon appeared in the Yavin system. The battle station had to orbit the gas giant Yavin for a clear shot at the smaller moon. The Rebel forces had a scant 30 minutes to launch a counterattack. Armed with knowledge of the Death Star's sole weakness, Alliance starfighter pilots soared toward the Imperial superweapon. Thus began the Battle of Yavin, which, due to the efforts of Luke Skywalker, became the first major victory of the Rebel Alliance. The Rebels abandoned Yavin 4 shortly after the Battle of Yavin in favor of other hidden bases, such as those on Thila and Hoth. Yavin 4 plunged into obscurity once again. Years later, the Rebels again set up base on the jungle moon, as it became the headquarters of the New Republic's Senate Planetary Intelligence Network. When Jedi Master Luke Skywalker established his Jedi Academy on Yavin 4 years after the Empire's defeat at Endor, the jungle moon again became the target of several attacks. 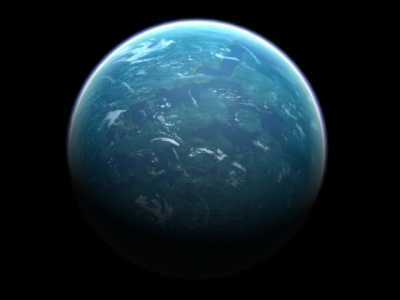 The most recent, undertaken by the Yuuzhan Vong, destroyed the great Massassi temples and forced the Jedi to relocate.